It’s time for Patch Tuesday again. 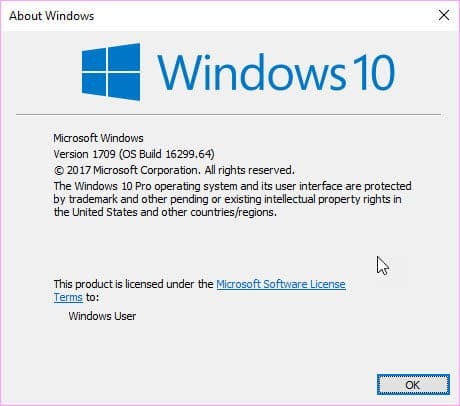 Microsoft has released security updates for majority of its products including Windows 10, Windows 8/8.1, Windows 7 and Office 2016. This is the first cumulative update after the release of Windows 10 Version 1709 Fall Creators Update. After installing this update, the build number of Windows will be changed to 16299.64. A total of 9 vulnerabilities have been addressed in this update. All the vulnerabilities are classified as important. These updates should be installed if you want a secure Windows 10 system. You may go through all the fixes made in KB4048955 by visiting this link. In this article, we will discuss a few important updates and the direct download link to KB4048955 update. The first issue to be fixed is the missing icons issue. The missing icons in Start menu surfaced for many users who upgraded to Windows 10 Version 1709. While Microsoft had suggested a workaround at that time, installing KB4048955 will fix this issue completely. Another major issue which was encountered while playing games on Windows 10 was the blank screen issue. The system would show a blank screen if a user switched between full screen and windowed modes especially when playing games. This issue has been taken care of in this update. This update also includes some security fixes related to Microsoft scripting engine, Microsoft edge, Microsoft graphics component, Windows kernel, Internet Explorer and Windows Media Player. There are some known issues which will surface after installing this update. Hopefully these issues will be fixed in future Microsoft updates. The scroll bar may stop working if a user is using Internet Explorer 11 and SQL Server Reporting Services.